Service dogs often begin service training as a puppy. If your dog can be individually trained to perform specific tasks to assist disabled individuals, he can become a service dog. While you may love him as a pet, a service dog is a working dog, not a pet. Training options include training him yourself or hiring a professional trainer. Locate a trainer to train your dog as a service dog. Organizations that can provide referrals to trainers include the Delta Society, the Assistance Dogs International, Inc., and Canines for Service. Call or go onto these organizations' websites to obtain a referral to a trainer. Contact each trainer to provide information about your dog and your needs. Per the Americans with Disabilities Act's definition, any dog that can be trained to perform work or assistance tasks for a disabled person can become a service dog. There are no other specific requirements for breeds or training that are mandated by the ADA. Meet with a service dog trainer to work one-to-one with your dog to train him. Look for a trainer or organization that is an Assistance Dogs International, Inc. member and follows the ADI minimum standard for training service dogs. Though no national or state standards exist for certification programs, the ADI sets a model for trainers to follow and is recognized nationwide as a quality program. Enroll your dog in service dog training courses. Organizations such as Canines for Service offer nationwide service dog training courses. If you are comfortable in the role as a trainer, you can complete the training yourself, following the model established by professional trainers. You can train your dog to complete tasks such as guiding the seeing impaired, pulling wheelchairs, picking up objects, opening and closing doors and alerting hearing impaired individuals to sounds. Allow your dog to be fostered by a service dog trainer. These trainers agree to have your dog live in their home until he is fully trained as a service dog. 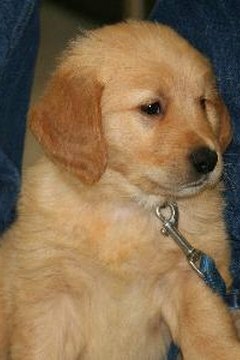 You may also contact an organization who can help you with selecting a puppy in training with a foster trainer. 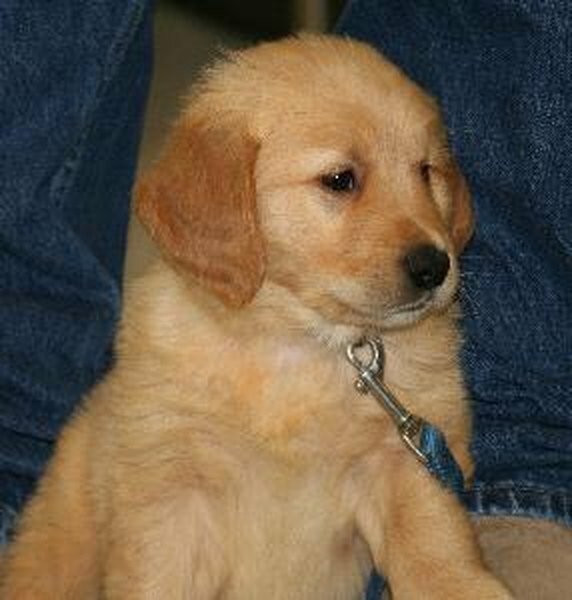 Puppies may spend as long as a few month or a couple years until he is ready to perform services. Purchase a service vest for your dog to wear in public once training is completed. Vests are available from various vendors and can be obtained with little proof of certification or training. The vest is not required by law but assists business owners to allow your dog in establishments that typically do not allow dogs. The vest also identifies your dog as a service dog to the public who may try to pet your dog without a vest. Interview trainers thoroughly and complete a Better Business Bureau check on their program. Ask for references and compare programs to make the best choice. Service dog training programs are not required to meet any regulations so be cautious of a program or trainer without years of proven successful experience.